The Municipality of Barcelona has chosen Beirut to participate in Barcelona's largest art and culture festival. 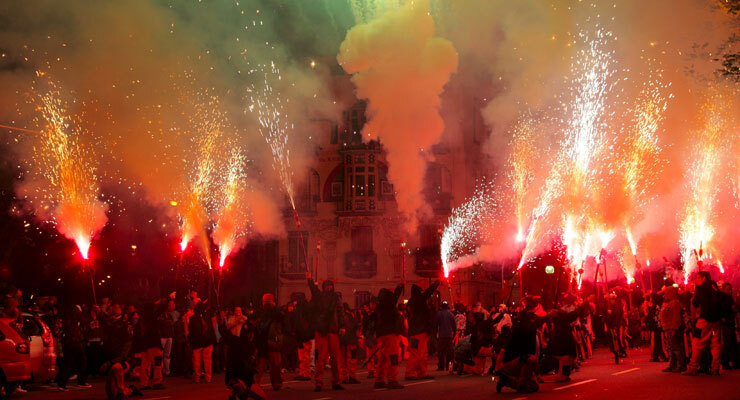 La Mercè, which is called the Festival of Festivals, has been an official city holiday since 1871. It will run from September 21 to 24, 2019, and will showcase audio and visual works, concerts, fireworks, human towers, and more. “A delegation from the Barcelona Municipality visited the ministry, municipality, and governorate to inform them that Beirut was selected the guest of honor in 2019,” said Nada Sardouk, Director General of the Ministry of Tourism (MoT). The Municipality of Barcelona invited Beirut Municipality to participate in the festival, which will select local artists and performers to participate, according to Sardouk. The Beirut governorate, MoT, and artists will work with the municipality to provide the best image for Beirut, Sardouk said. “The country will benefit a lot from participating in this festival, because Barcelona is one of the most important touristic cities, and millions of tourists visit it every year,” said Sardouk. More than 1.5 million visitors attend the festival each year. “The festival provides good exposure for Beirut in Europe, and will positively impact the image of the city,” she said. Portugal’s capital, Lisbon, was guest city at the 2018 Mercè festival.